Mr. Vernau started the meeting at 9:15am by discussing the serious undertaking this strategic planning is for the Township. He discussed how the old Strategic Plan needs to be updated especially with two new Board members. A successful Strategic Plan is a guide for employee’s decisions, actions, and budgets. The classic plan has mission, goals, and objectives. Since the last plan in 2008, the Board has changed, which may require changing the mission and goals for the Township. The actions of the Township should be proactive versus reactive. This makes the budget process easier since Staff can follow the goals and mission set by the Board. Commissioner Schin arrive at 9:17am during this discussion. Mrs. Trone stated that at the end of today, we will not have a plan but a direction. Strategic planning is a process to determine where to allocate time, human capital, and invest monies. A mission statement is a written declaration of your organization’s core purpose and focus. The Township’s mission statement is the “Township is dedicated to being the leading local government and providing the best services consistent with our community’s needs”. She spoke about the process for today and how Staff is trying to determine if there are any game changers. Game changers are issues that can alter the mission statement. She spoke about two key positions in Public Works and the potential of retiring in the next two years. If we choose an internal candidate to “shadow” them then there may be potential costs associated with hiring someone to help with the workload. She stated that there may not be a potential internal candidate for the position. Commissioner Schin spoke about how some are good at a shotgun approach but not good at taking the reins. He believes they need to know if there is an internal candidate. He spoke about cross training. President Black asked how early we would know about their retirement. Mrs. Trone stated that we could offer and try and get a sense of their timing and get a mechanism in place for their replacement including hiring and training. We could also hire the retiree part-time to help after their retirement. She spoke about the pay grades and how the new employee/internal candidate would be at a lower pay rate versus the employee retiring. Commissioner Simpson spoke about the training of the replacement and letting them be manager for the day while the manager is still there. He spoke about evaluating who can step in when someone else is absent. Mrs. Trone stated that her takeaway from this conversation is finding out who would be interested in the upcoming open positions and continuity is important. She spoke about the budget process each year with approximately $36,000 paid by the Township to WSRec for the residents. Commissioner Schin would like to see what the usage is for Township residents versus other municipalities. The Board was not in favor of this option. Commissioner Simpson spoke about a summer concert series that brought residents out to the local park amphitheater. Vernau stated that an amphitheater was looked at in the master plan but was put aside because of costs. He could look at it again. President Black would like to see it in and spoke about potential grants available to help with the costs. Do not offer any recreation programs. Discussion ensued. Mrs. Trone’s takeaway from this conversation was to find out the usage for our residents with WSRec, ask WSRec to include our parks for community events, and put the amphitheater in as an idea for recreation. The meeting recessed at 9:56am and reconvened at 10:10am. Mr. Grove asked if staff should continue to structure options for the Board centering on the goal consistently presented in the winter newsletter, CAFR, and many other places, the goal of maximizing the standard of living of Township residents and businesses. More specifically, to attract incoming residents and businesses whom existing residents would value as neighbors and business partners, and where those incoming are willing to pay a relative premium for property and rent. He stated that this doesn’t ask if this is the goal but should staff use this as their direction. Many people are responsible for making business decisions-with decision makers at all levels. Employees with a variety of expertise and knowledge and are good at handling a wide variety of situations quickly and effectively. Board focuses on big-picture leadership. Made up of semi-autonomous divisions/departments in the Township. All PA cities, boroughs and 1st class townships are decentralized, as are the railroads. He spoke about Alfred Sloan, former manager of GM, and his background. Mr. Grove stated that the Township is a professional bureaucracy which has a core of trained professionals. He spoke about the accreditations and standards we as a Township chose to participate in including CALEA. He spoke about Mintzberg’s structuring of organizations, which is determined by the number of rules governing the organization. He spoke about leadership and the Jack Welsh, General Electric, example of what people want in a leader, what leaders provide, and what is the spark to help create. He stated that the Township is about 80% built out, but growth will still occur. It may be time for solidification to reach the strongest position we can, but keep an eye on the future. He spoke about a man (Tiebout) who studied municipalities, whose conclusion was that people will locate to the place where they find the best value. He spoke about the Township’s current strategy and how it alludes to how its success might be measured. It focuses on existing residents and not so much those moving in or the emerging trend or social issue. He spoke about an ideal expenditure level for the Township and is based upon specific attributes such as population density. If these expenditure levels get too far out of whack, the public will react. We have seen very little of this in the Township which has been very stable for the past 50 years. He spoke about a survey done for Chicago and the number one thing that was important to residents was the house itself, which isn’t affected by government. He stated that the second important item in the survey was safety of neighborhood, which local government does help control with police. He spoke about how decisions made can affect property values. Strong in the main survey attributes, especially land use planning, building/fire code enforcement, and all area of public safety. Low-cost proliferation of awards and certifications (CALEA, CAFR) as well as Commissioners and Staff who head up may aspects of the municipal industry (PSATC, GFOA, APMM). Strong bias toward efficiency and long-term planning. Commissioner Schin asked about knowing where the tax dollars are spent. He spoke about a previous $50,000 process that would have provided an analysis of where the tax dollars are being spent with services. He would like to see a review of where tax dollars are being spent, and are they being spent on services the residents are using. He asked if the Board could get a copy of the proposal for the priority based budgeting. Mr. Vernau spoke about the priority based budgeting and the consultants and spoke about the cost being higher. He spoke about a satisfaction survey they had done in the past of the residents. Mr. Grove stated that he looked at their proposal and wasn’t impressed and was not sure they could do what they were proposing. Commissioner Simpson spoke about doing an independent audit to get a fresh set of eyes to review things and maybe give some new ideas. President Black spoke about the accreditations with CALEA, GFOA, and PSATC which residents don’t know about but how it benefits them. Director Holl spoke about the standards of CALEA and how it makes better officers and enhances the professionalism of the department. Mr. Vernau spoke about the education available through these organizations and how they bring back new ideas and how it benefits the residents. Discussion ensued. Mr. Grove spoke of two ways to save monies for the Township. One, he asked the Board, while retaining the Lower Allen Authority as overseers of capital assets and debt, is there any interesting in returning sewer operations as a department to the Township. 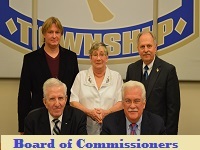 Commissioner Schin stated that he sits on the Authority Board and wouldn’t want the liability for the Township. Mr. Vernau spoke about the administrative cost savings including two sets of accountants, receptionist, and secretaries. He stated that the professional staff would stay as would the Authority. Mr. Grove stated that the advantages are eliminating duplicate duties, less employees to do the work, and eliminate the down time. 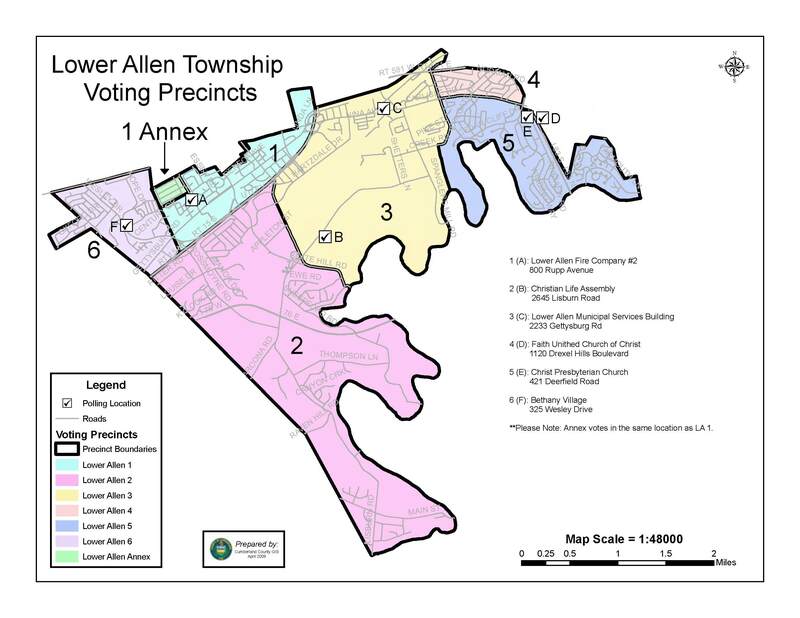 Mr. Grove asked, as a second way to save monies, if there was any interest in the idea of a merger of Lower and Upper Allen and perhaps Monroe Townships to reform Allen Township. He stated that Upper Allen has 60 employees with 44 full-time. He knows not all employees would be needed. Mr. Vernau spoke about looking at a smaller municipality first like Shiremanstown. He stated that we would have to provide services but would pick up the tax base. The question would be what type of tax base would be picked up with the merger. Commissioner Schin spoke about speaking with Shiremanstown counsel. Mr. Vernau spoke about possibility of selling our Public Safety services. President Black spoke about looking at merging with smaller municipalities or boroughs like Lemoyne, Wormleysburg or Shiremanstown first. Commissioner Schin asked if we could look at more than one at a time. Commissioner Simpson spoke about the historical part of Shiremanstown. President Black asked about the residents’ thoughts about a downtown. Mrs. Trone stated that they have heard it both ways that some would like one and others like the way things are now. Discussion ensued. The meeting recessed at 11:15 am and reconvened at 11:22 am. Mr. Flint spoke about MS4 funding and provided the background. He spoke about the Chesapeake Bay Program, which includes a need for a pollution plan. He stated that 2018 is a permit year, and the outlook isn’t good with the increased EPA regulations. He stated that there will be significant annual expenses (six figures) in the next five years, including milestones that need to be achieved by 2025. There are several ways it can be funded. One is using the general funds and increasing taxes to pay for the program. Second is to establish stormwater fees paid by users. President Black is in favor of the stormwater fees so the taxpayers understand why they are paying it. Mr. Flint spoke about the fees and the study needed to determine the fees. He stated that there would be an average home fee and commercial which would be based on pervious coverage. He stated that tax exempt properties would be included in the stormwater fees. Commissioners Simpson and Black are in favor of the fees. Mr. Flint stated that the Comprehensive Plan is already in progress. The plan process will culminate with 5-10 implemental items. The last time the surveys were sent to every home, while this time the survey will be online. He spoke about the first week of May being Visioning Week for the Township. He stated that changes coming out of the plan could include zoning, land uses, character and volume of building. He asked the Board if there is any information they would like now or wait to see what comes out of the plan. He and Mrs. Trone spoke about design standards and developers. Discussion ensued. Mr. Flint spoke about the need to have the open spaces and pocket parks maintained. He spoke about the trail system and maintaining it, which may include specialized equipment. He encouraged the Board to be involved with the Comprehensive Plan. The meeting recessed at 11:56 am and reconvened at 12:30 pm. Director Holl spoke about the mission of public safety. He spoke about the possibility of Police regionalization or contracting services with neighboring municipalities. The Board of Commissioners would lose overall control as a new regional board was formed. The question for the Police is to explore regionalization or look to contract services. He spoke about the current EMS model, the financing of EMS and the challenges with revenues. He spoke about the chase truck model, BLS trucks, mutual aid and what is best scenario for revenues. He spoke about the fiduciary responsibility the Board has to the residents to provide this service. He spoke about owning the ALS and contracting our services. Camp Hill approached us about this option. He spoke about regionalization and the issues with Dillsburg’s EMS and having to share revenues with the bigger health systems. He stated that he will look for the Board’s direction for a policy decision down the road. He is big in making data driven decisions and likes to develop data models for operation and decision making. He spoke about cross training. He spoke about obtaining data on the Fire Companies and exploring regionalization. He spoke about local fire companies and the number of apparatus and how they operate independently. He spoke about the needs versus wants for apparatus. He asked if the decisions being made on apparatus are necessary and how does it relate to the other fire companies’ apparatus. He spoke about a Commission/Advisory Board that could help make decisions with the local fire companies on apparatus, if the purchase is necessary and needed to try and eliminate duplication of services/equipment. He spoke about diminishing volunteers at the Fire Companies and whether it make sense to push decisions about apparatus to this Commission. The Commission should include those knowledgeable about fire equipment. He spoke about the possibility to reduce costs. He spoke about his experience with PEMA and the 911 call centers. He spoke about technical advancements and how things could be done with less equipment. He believes the wave of the future is to coordinate regionally. Commissioner Schin stated that the Township is fortunate to have the two fire companies we have. Director Holl spoke highly of Lisburn and the job they do for the Lisburn community. However, they run a lot of York County calls, which is not benefiting Township residents. He spoke about Stations #1 and #2 and the best place for deployment with Arcona. He spoke about looking at local municipalities and their location with the Fire Companies. He spoke about joint membership with other Fire Companies and assisting with calls. He discussed attracting volunteers with training and will be charging the Fire Captain with this challenge. He spoke about the increased call volume, including Walmart 2-3 times a day and the time involved with each arrest. He discussed the staffing studies that he and Capt. Crone are working on. He stated that the crime rates are driven by the economy. He spoke about the EMS increased call volume and the increased calls for the elderly high rises. He discussed changes in the healthcare system and how they can impact the EMS units. The smaller EMS units are absorbed by larger systems or go out of business. He spoke about the reduced number of volunteer fire fighters, as there are few coming behind them. The reasons why this is happening including training, jobs, and the economy. He spoke about exploring volunteer recruitment strategies, live-ins, educational stipend incentives, expanding the PSOs role, training EMS to help with fire calls and alliances with business owners. He spoke about fire station #2’s location and the potential upgrades to the building that are being discussed. He thinks before that happens, we should bring in a consultant, a fire engineer, who can map out the Township and look for the best locations. Commissioner Schin asked about Lisburn helping with Arcona. Director Holl stated that they could and he spoke about discussions going on with York County. He believes we need to change the way we look at decision making. Data from the Comprehensive Plan could be used to engage a Fire/EMS Services consulting project in 2018 to examine the options for an Arcona Station, and the viability of maintaining Station #2. He spoke about crime prevention by design. He discussed Public Safety’s review of the recent Arcona Terra-park and the location of the sand box and visual obstruction to view it from the street. They also look at lighting and other items to help with crime prevention. Director Holl spoke about Record Management Systems. He stated that the Cody system was a good decision and spoke about expanding it to other areas (EMS/Fire). He spoke about cloud-based systems, which would be helpful to share and eliminate duplicating services. He spoke about GIS being the analysis platform for the future and spoke about regional GIS with County. He spoke about moving from in-house server systems to the cloud, as there are issues with servers and Comcast which could force officers to write paper reports. The Cobra system, which ties into a multiple database which the County DA is paying for and charging a usage fee. He spoke about applying for grants for a mobile finger printing system for the police to save time and money. He discussed First Net, which can allow EMS to transmit an EKG and live video to the ER doctor on their way to the hospital. He spoke about how these technologies can help Public Safety and are game changers. They will reduce personnel but come with a price tag. Commissioner Schin asked about the time and costs involved with running arrestees down to Carlisle for booking versus the cost of a regional booking system. Director Holl spoke about it being cheaper, as the County pays for someone to stay with the arrestee. Commissioner Simpson asked about technology for facial recognition and finger printing being sent to Carlisle versus our officer going. Director Holl stated that it depends upon the cost of the machines. President Black stated that Director Holl is the expert and they need strong recommendations from him. Director Holl stated that time is money and he doesn’t want to waste time on something the Board isn’t interested in doing. He puts a lot of thought into everything he brings before the Board. President Black stated that he would like to keep the quality of the police. He spoke about the turmoil with EMS with Pinnacle, UMPC and Highmark, which will be coming soon to the area. He agrees there are serious decisions that need to be made regarding Fire and equipment. Mr. Vernau asked the Board about service levels. He spoke about the great services offered to the residents. For every one complaint, the Township receives 4-5 praises. There are options for service levels – keep them the same, enhance, and reduce. He spoke about EMS, how they are paying for themselves but there may come a time when the ambulance isn’t paying for itself as it now and a decision about service levels will need to be made. This service could be outsourced to another company, but then the quality of the services wouldn’t be controlled by the Township. Another example is the building codes and inspections we provide. There is a cost to having this service internal but it could be outsourced. The quality of the outsourcing would also be outside the control of the Township. The question comes down to do we provide a better-quality service or outsourcing to save money?. He spoke about Public Works and the plowing. He spoke about the mission statement, which states we will offer the best services. Commissioner Holtzman has heard from residents that they don’t mind a tax increase if they are getting good services. Mr. Vernau spoke about the perception of Public Safety receiving much more money versus other departments. He stated that Public Safety is a large visible service. We have other departments that need attention. As we go forward with budgets and resources, how much resources will be dedicated to Public Safety versus others. Mr. Vernau asked the Board how they feel about the rates we pay the employees. He stated that this is a year for collective bargaining. He spoke about doing market salary surveys for the positions in the Township every three-four years. He stated that the question to the Board is whether they want to stay competitive with the market salaries. He spoke about the increased costs for healthcare. This year there was a 12% premium share with a higher deductible for the employees. He spoke about the good experience they have with Benecon. He asked if the Board wants to stay competitive with healthcare offerings. He explained the defined benefit plan available to the employees and the non-matching 457 account available for them. He spoke about the current match for the pension of approximately 6-7% of the employee’s salary. He spoke about the Pension Committee and the pension bond done in 2013. He believes the defined benefit plan is less expensive in the long run, but market changes could cause higher general fund obligations. Mr. Grove spoke about the regulations with the pensions and the higher expense for the Police pension plan because of the earlier retirements. Discussion ensued. President Black spoke about keeping the plan as it is and new employees go into the new system. Commissioner Simpson agrees. Mrs. Trone stated that she would send out the take away points. Commissioner Schin felt there was good helpful discussions and appreciated the prep work done by Staff. The Strategic Planning Meeting of the Board of Commissioners adjourned at 2:09 pm.